Our Wood Tic Tac Toe Game Board Game is made of handsome light colored wood. 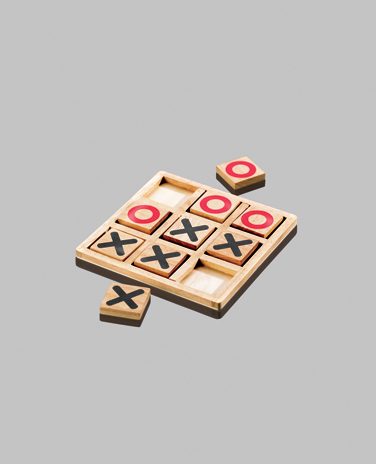 The Wooden Tic Tac Toe Game features nine wooden tiles with Xs and Os printed on them. Each Wood Tic Tac Toe Game is nicely packed in a handsome white gift box for attractive presentation. This Tic Tac Toe Game measures 7½" wide x 7½" long x 7/16" high. *Item 4205 in only available blank/without an imprint.